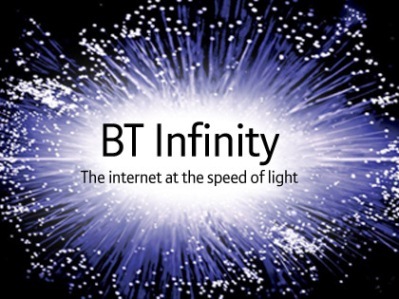 I use the Internet a lot so invested in the fibre optic wonder of Infinity from BT. After an unsteady start (due to a line fault) the BT Infinity speeds have been a constant 37mb download and 8mb upload. It is definitely a pleasure to use the Internet with speeds like this and has come a long way since my dial-up days. This morning was no different to any other until I tried using the Internet. It was a slow and horrible experience and I had a feeling something was wrong. I couldn’t watch any YouTube or iplayer content due to constant buffering. First stop was speedtest.net to see what my connection was achieving. Instead of the warm feeling I get from the 37mb speed test results, I got a damp, let down feeling after seeing the result. A miserable 2mb download speed. I restarted the router and tried again, same result. After the third test I realised what was going on. In the bottom left hand corner of the speed test results is your ISP and your IP address. Instead of British Telecommunications it said Talktalk and the IP address (after googling) was indeed a Talktalk IP address. How this transition came about I had no idea but I was going to find out. I posted in the BT Community Care Forum but initially received little response to the issue. I also posted my tale of woe on my Facebook timeline and after a few sarcastic comments I was sent this link to information about something called slamming by a friend. It is hard to believe that your ISP can be changed without any prior agreement by you. Basically the guilty party will claim that you agreed over the phone to change your Internet provider. In my case I have not spoken to anyone and definitely do not wish to lose my lovely fibre optic BT Infinity connection. Later in the day I was contacted by a moderator in the BT Infinity forum who asked for more details via PM and he has promised to investigate this issue for me. He also suspects it may be a result of slamming. I find this situation ridiculous and it makes me wonder what other services I use could be taken from me without consent. It seems rather too easy for someone to do.If it turns out to be slamming, why was I not contacted by BT or Talktalk regarding MAC numbers or payment details, etc. Only time will tell but I look forward to getting my Infinity restored.